In my over 5 years of blogging, it wasn’t until the last couple of years that I started using an editorial calendar. It is seriously life changing. That might be taking it too far, but what I’m saying is you need to have an editorial calendar if you’re going to have a blog. There are tons of reasons why and I’m going to outline them below. Why do you need a blog editorial calendar? What I like to do is spend a few hours brainstorming and then laying everything out on my editorial calendar right away. You get your creative juices flowing and brainstorm everything all at once. It really makes a difference vs. trying to think of posts the night before, I swear. Like I mentioned above, it’s amazing to knock out most of your brainstorming all at once. because I was spending a few hours each month brainstorming it was saving me time the night before posts trying to think of what to write about. Instead I am able to focus on writing quality content! The key to consistency is planning ahead. With an editorial calendar you know what’s going to be posted and when. You can come up with a posting schedule and be sure to post consistently which is one of the most important things you can do if you want to have and maintain a successful blog. It really helps me to see all of my posts laid out in a calendar. You can see the spread over the course of the month or even a few months or the year. If I notice I’m posing too much about one topic one week I will take a few minutes to rearrange so that my content is more balanced. This is the first year I’ve planned ahead past one month and it’s great because I was able to really plan seasonal and holiday content. In the past I would wait until I thought of a seasonal post and by then it was already nearing the end of the season. With seasonal content it’s best to publish it at the very beginning so your readers have a chance to find it, share it and implement it. 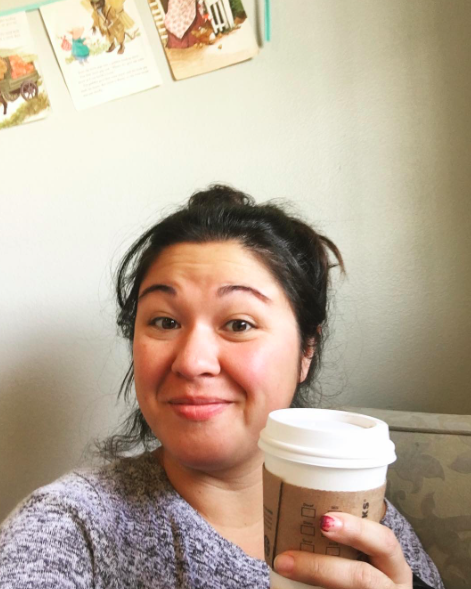 An editorial calendar truly has made blogging less stressful for me. There’s less panic because I don’t have a post lined up and I don’t have anything ready. Even when I’m not ahead on writing my content, I at least know what I’m going to be writing about even if it’s last minute. Figure out how often you’d like to post. Three days a week works best for me, but some people prefer to blog every single day and some maybe once a week. It doesn’t really matter how often, just figure it out and stick to it! Once you have your schedule down, figure out how many posts you need to fill in your month. I find that posting 3 days a week usually means 13 posts per month. Jot down any monthly or weekly features you do regularly. 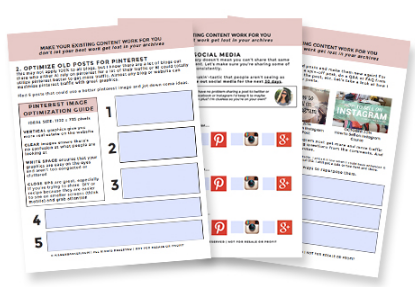 These will help you fill in a few posts, but also will create some consistency in content for your readers. They’ll know what to expect and when. Everyone brainstorms differently, but I like to write down the different topics I feature on my blog and just start knocking out ideas. Even stupid ones it gets my creativity going and I usually have more ideas than needed so I can either move some over to the next month or scratch the not so good ideas. For my blog I like to keep the main focus on blogging and business with lifestyle posts and simple and natural living posts being secondary. I try to pick the best ideas for each topic and make sure it rounds out the way I like with more blogging and business posts than anything. Take some time to put down all your posts on the calendar. I like to do this in a way that can easily be edited. If on paper I use pencil, but my favorite is using Google Calendar for my blog editorial calendar. I can easily move things around as needed. Because sometimes things get in the way I like to have 1 or 2 back up post. 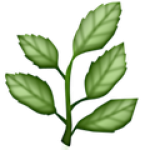 Sometimes I just feel really blocked about a topic and can’t seem to get the right words out so having a back up post helps me so I don’t have to figure out another post on the spot. That’s it! It’s actually pretty simple when you get used to it. It does take a few hours up front to get everything thought out and planned, but it’s so worth it in the end. I recently spend a good chunk of my evening while on vacation planning out the next three months worth of posts. Knowing what’s coming up and having to just put together the content really makes a difference for me. 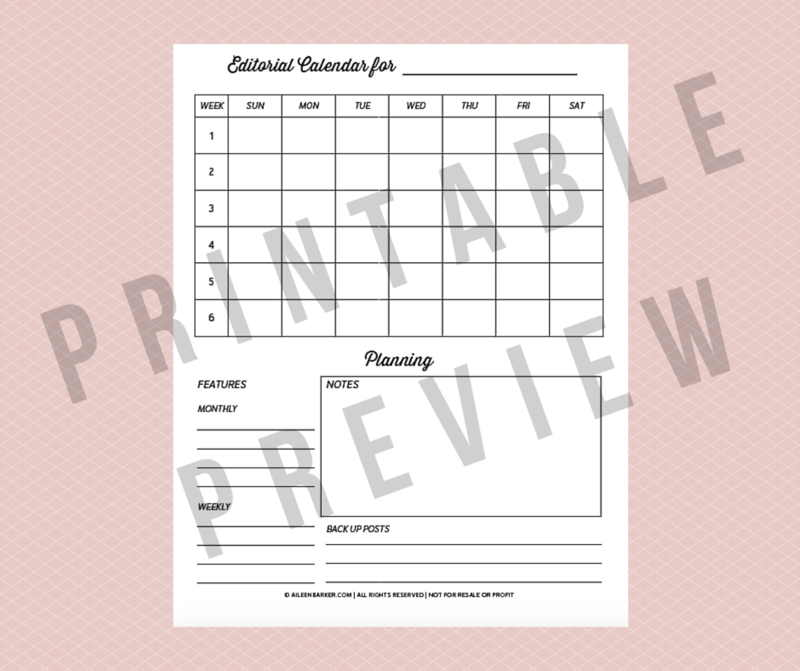 Because I love a good printable, I’ve included an editorial calendar printable for free for you. Just sign up below to get the download link. 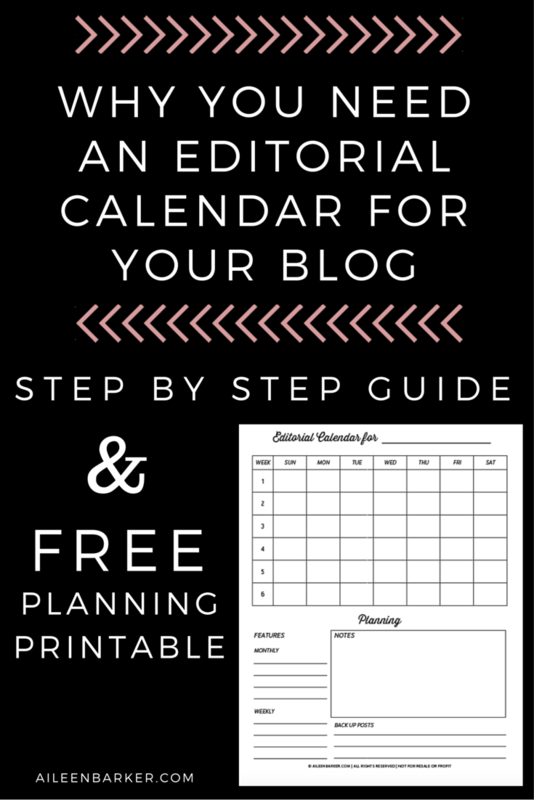 Do you have a blog editorial calendar? If not, why? If so, how has it helped you and your blog or business? Thanks! This was helpful as I begin working on using an editorial calendar!